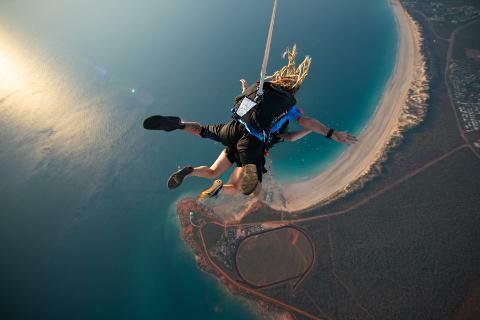 Tandem skydive from 14,000ft overhead pristine Cable Beach and the red-earth township of Broome in Western Australia. Have you ever tried it? Jumping out of a perfectly good airplane? Harness tight, sitting in the door with your Instructor the deafening sound of wind in your ears? Have you experienced the incredible rush of free fall? Whether you are an adrenalin junkie or someone who has always wanted to 'give it a go,' the Skydive Geronimo team invites you to join us for an experience of a lifetime! 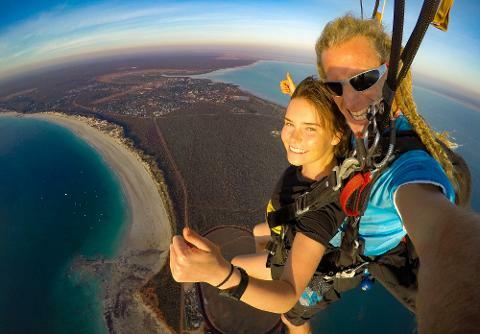 Your 15 - 20-minute flight to altitude will take in stunning views of the unique pearling town of Broome, Gantheaume Point, Cable Beach and rugged landscapes beyond. Together with your Instructor, you will free fall at 200kms/hr for 60 seconds! 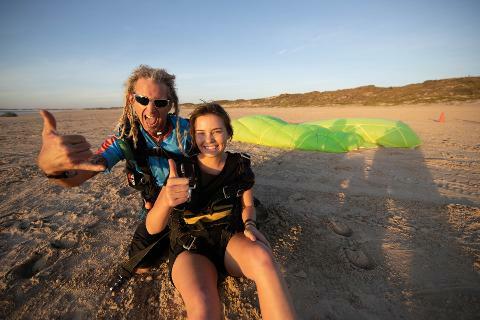 Your Instructor will deploy your parachute at 5,000ft and you then enjoy a spectacular 5-minute parachute ride, before landing on the beach alongside family and friends. Then it's time to celebrate! Customers enjoy a free celebratory beer (we recommend trying the mango brew) at Broome's famous Matsos Brewery. 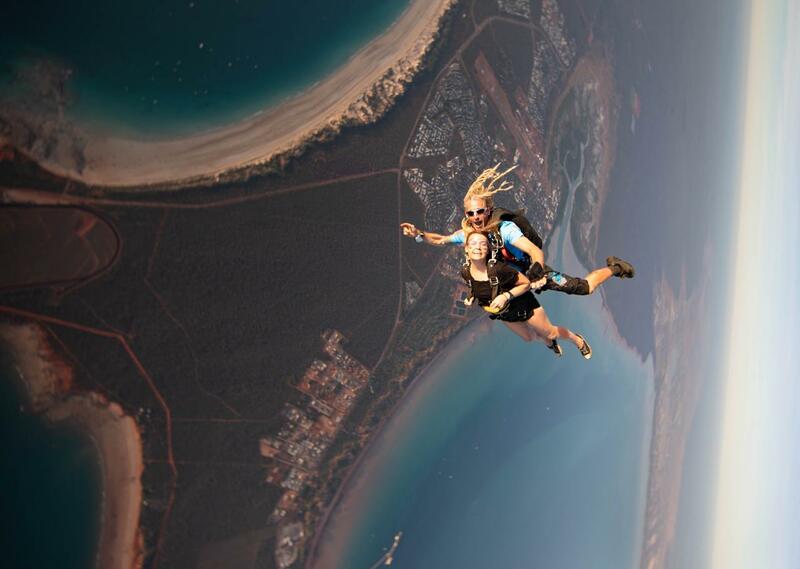 Skydive Geronimo have the most fun and our team love Skydiving as much as you will! We know that this will be an unforgettable experience, so our crew are dedicated to making it as enjoyable as possible. 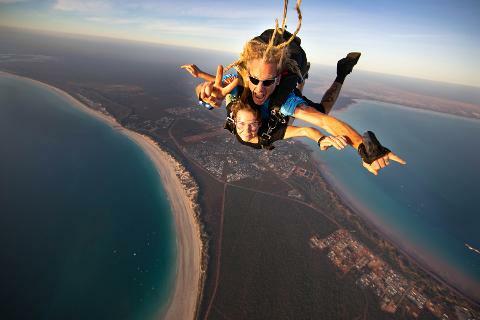 You will jump with Western Australia's most experienced team with over 40 years of skydive and aviation experience. We have a 100% safety record.